Linear and branching narrative structures are widespread in games, but limited in their dynamism and expressiveness. We consider the alternative storylets model of interactive narrative content, in which a game’s narrative is assembled from a database of discrete, reorderable narrative “chunks” or “modules” known as storylets. This paper represents a first attempt to map out the design space of storylet-based narrative systems in games. 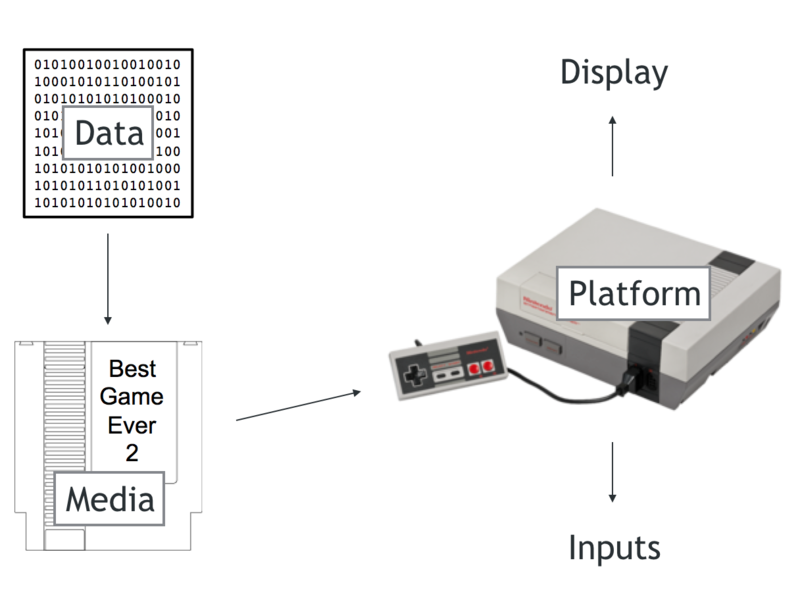 We define the common elements of storylet-based systems; categorize such systems along several distinct dimensions; and survey implementations of such systems in existing games. We present Throwing Bottles at God, an experimental interactive narrative game that makes use of a predictive text writing interface as both a game mechanic and a means by which to deliver narrative content. The player steps into the role of @dril, a well-known pseudonymous social media personality with a distinctive writing style, and authors short snippets of text while receiving suggestions from the game as to which word @dril might use next – suggestions supported by word pair frequency data extracted from the corpus of all existing tweets by the actual @dril. The game represents a first attempt to use AI-based game design to heighten the player’s awareness of AI algorithms, specifically predictive text algorithms, as they play a role in the player’s day-to-day life. It also blurs the line between player-authored and developer-authored narrative content by inviting players to freely mix snippets of developer-authored text into their own in-game social media posts as they compose them, resulting in player-assembled messages that embed sequences of words drawn both from an external corpus (the @dril corpus) and from developer-authored narrative content. Okay, that’s all for now. Sometime soon we’re hoping to have another post up about the exciting new game project the lab’s been working on this past quarter, so stay tuned! There’s also a companion zine, which you can read or download here. Computational Media is all around us — video games, social media, interactive narrative, smartphone apps, computer-generated films, personalized health coaching, and more. To create these kinds of media, to deeply understand them, to push them forward in novel directions, requires a new kind of interdisciplinary thinker and maker. The new graduate degrees in Computational Media at UC Santa Cruz are designed with this person in mind. The M.S. is designed to help you build on your existing strengths and move into new areas. Maybe you’re a computer scientist or educator who wants to develop a deeper understanding of game design or human-computer interaction. Maybe you’re a storyteller or digital humanist who could explore new territories, but would need deeper technical skills. Maybe you have a background in health care or community organizing and want to find ways to engage the possibilities of computational media to assist and empower people. Maybe you’re already doing interdisciplinary work, but want to develop a deeper understanding of the field and a stronger portfolio. UC Santa Cruz has two more faculty jobs in games and computational media. One is an Assistant Professor in game design (apply by February 1st) and the other is a Teaching Professor position in computational media available for applicants at any level of seniority, and open to a wide range of specialties (apply by February 23rd). The game design position is for one of the founding faculty of the new BA in Art & Design: Games & Playable Media. The ideal applicant is a designer with experience pushing games in new directions, working with innovative design and technology approaches. This position is in the Arts division. The Teaching Professor position is a bit unusual, so some explanation may help. This position has a higher teaching load than is normal in our School of Engineering (more akin to arts and humanities teaching expectations). It also means that the faculty member’s professional activity does not need to be what is normally expected in engineering — it could focus on game making, or software studies, or generative artwork, or many other practices. The person in this position will be a full member of the UCSC academic senate, will have full voting rights in the Computational Media department, and will have security of employment like traditional faculty. Letters of reference must be received by February 23rd, so if you’re interested it’s time to start the wheels in motion.